You are here Home > Community Action and Wellbeing > Know your rivers - what is Environmental Water? Want to know more about local and statewide efforts to protect rivers and wetlands? Want to know what this ‘thing’ called environmental water is all about? 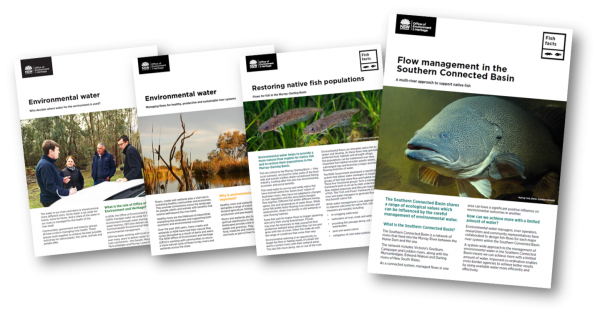 The Office of Environment and Heritage has released a series of factsheets about the work it is doing to increase native fish and bird numbers, improve wetland habitat and ensure a sustainable future for local waterways. 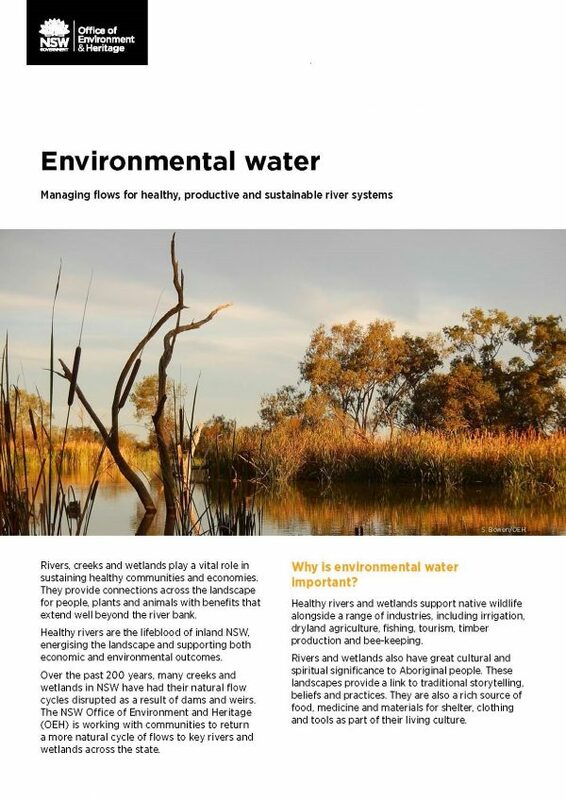 Each factsheet is beautifully produced and explains the science and on-ground actions being used to boost biodiversity and look after the wonderful riverine environments we have in New South Wales. OEH director Graeme Enders said the organisation is keen to work with communities to deliver water that improves outcomes for all river users – plants, animals and people. He hopes that people will enjoy reading the fact sheets to find out more about the work being done across the State. “Rivers aren’t just a source of water. They are home to plants, insects, crustaceans, frogs, fish and birds that all contribute to a healthy and productive river system. “When you sit underneath a big river red gum you can’t help but be in awe of its quiet majesty. It relies on the river to survive just like we do. Rivers are great places to go fishing, bushwalking, camping or bird watching. “The work we do at OEH plays one vital part in ensuring these beautiful rivers and wetlands are healthy now and into the future. “By providing the right amount of water at the right time we can ensure that the plants and animals we see today are still around for our children and grandchildren to enjoy. “It’s a connected system and local communities have an important role to play in making that system work for the benefit of everyone,” he said.